« Legalizing prostitution in California. HELP! Diapers, bubbles offend students at Kent State University anti-safe space event. Proving the absurdity of safe spaces. Underage illegal alien teen denied abortion in Texas without an adult sponsor. If she’d crossed into California this wouldn’t be a problem. 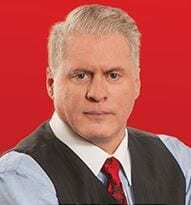 Capitalist Evangelist, Wayne Allyn Root, joins Joe to discuss taxes, healthcare and more… Trump needs to assign a special prosecutor for EVERY single scandal. It doesn’t matter how many there are. Why isn’t Trump moving on this? Even worse, why isn’t AG Jeff Sessions doing something? He needs to step down. Our problem is our society is filled with liars, most of them Liberals. The only witness to the Mandalay/MGM shooting was told he could only be interviewed by Ellen, a comedian, not news. Ellen is contracted with MGM. Congresswoman Frederica Wilson says being called an “empty barrel” is racist. She verified it in the dictionary. What dictionary did she use? Anyone? Nope! Gen. Kelly didn’t say anything racist toward her, he simply called her a fool!